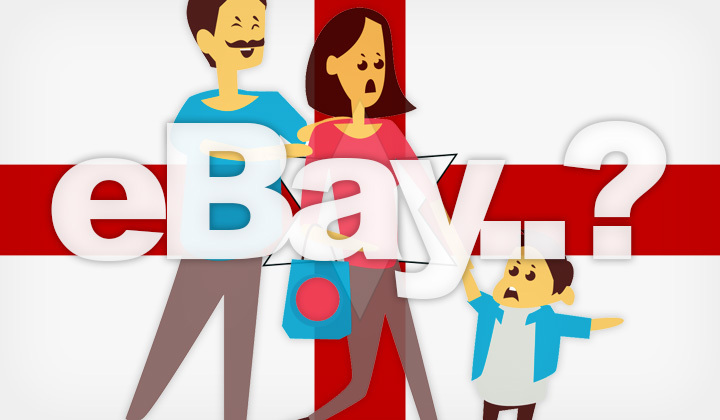 eBay in Northern Ireland: Which eBay Site to Use for Online Shopping? It’s not exactly clear which eBay is best for customers in Northern Ireland, so in this post I’ve clarified the situation. And here’s quick links to get started! What’s common about all eBay websites, is that you can log in to each one with the same account. So it’s easy to use any of them depending on your requirements, convenient for comparing pricing, shipping costs, availability and so on. But what’s the difference between all the eBay stores? Those who want to shop from most nearby locations, the eBay in UK will be your best choice. It gives priority on sellers from all over the United Kingdom, including the occasional seller from Northern Ireland as well as Ireland. Just sign in, search and browse normally. The Irish version of eBay generally has less availability, and there are not as many sellers as in the UK so this is generally not recommended. But since Northern Ireland is nearby, you might want to check it. If you want to check and compare pricing, availability and shipping from various parts of the world you have the biggest choice here. You can also narrow down searches to Europe for import duty free shopping, and affordable, fast shipping to the Northern Ireland. Another popular shopping region is Asia. Especially on eBay, Chinese, etc. sellers provide highly competitive shipping options, and pricing of course. Simply, go to advanced search and select the country region of your choice, or even narrow down searches to a specific country. And that concludes my post — lastly I recommend checking all sites eBay.com, eBay.co.uk and eBay.ie to be sure of what’s the best fit for you! Which eBay do you prefer in Northern Ireland? Please, give us a shout in the comments! And not forgetting to mention that some of these posts contain friendly, and mostly harmless affiliate links that support my blogging habit. Biig thanks!